SA Youth at Poplar distributes San Antonio Food Bank meals to 50 to 60 children every day. With more than 200,000 children across Bexar County at risk of going hungry, the San Antonio Food Bank is helping kids who depend on school lunches by giving 25,000 free meals a week throughout the summer. The Food Bank provides the meals at 178 locations across Bexar and surrounding counties, including schools, Boys & Girls Clubs, churches, libraries and more. To participate, 50 percent of students at each site must qualify for free or reduced lunches during the school year. The Food Bank makes the meals fresh daily and keeps a four-week menu cycle so students can receive a wide variety of foods, according to Director of Children’s Programs Heather Guzman. It also sends a nutrition team to the sites to show kids how to cook and grow food. The Food Bank introduced the program after its CEO, Eric Cooper, was approached by a principal from a low income school where students intentionally failed classes so they could get free food at summer school. 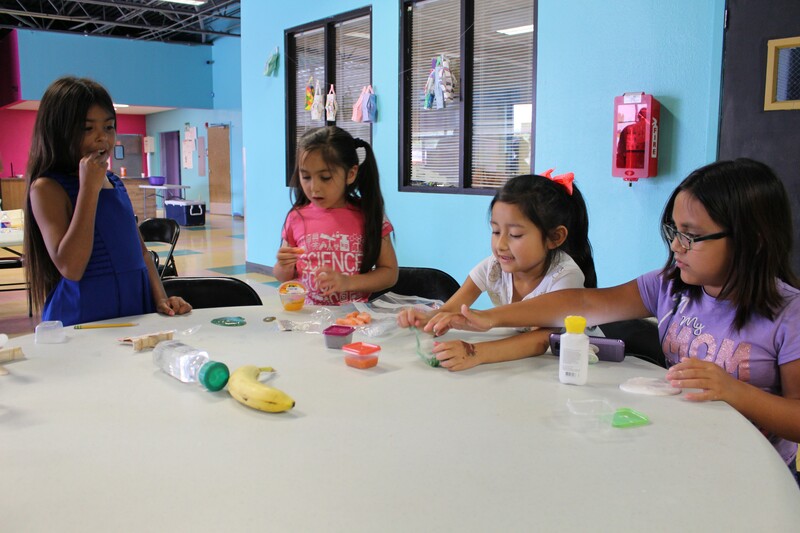 SA Youth at Poplar community center had previously served meals to needy kids, but Site Director Allyce Ramon said its partnership with the Food Bank now allows it to offer additional educational resources, such as food demonstrations, that staff couldn’t offer before. Azalea Sanchez, 10, said her favorite meals at SA Youth include lasagna and French toast. The program is always open to food and monetary donations, but Guzman said volunteers are needed most, since multiple sites want to get involved but don’t have enough staff.